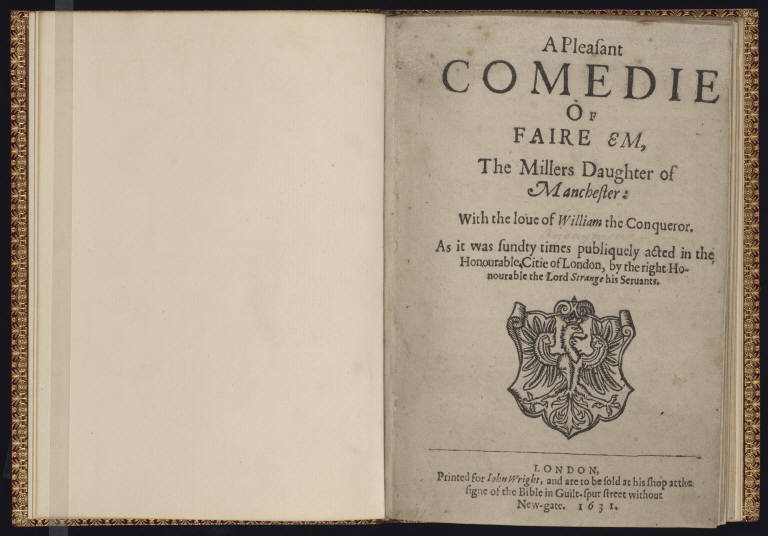 This quarto of Fair Em, a comedy about William the Conqueror and a miller’s daughter, was printed in 1631. 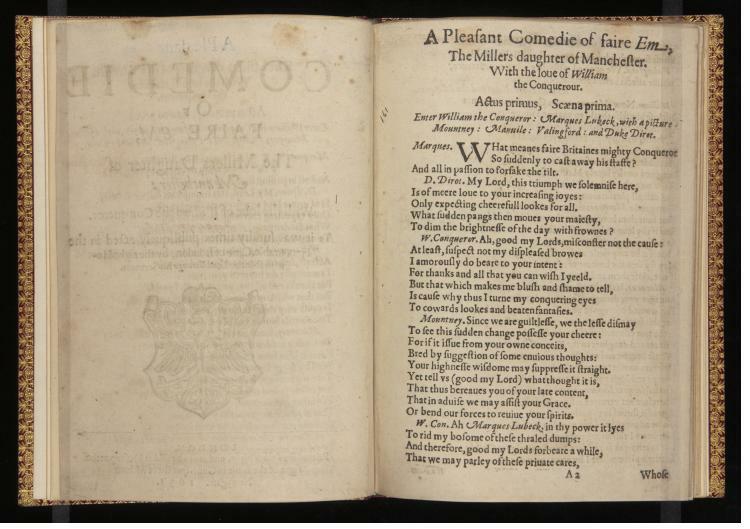 Like other plays recently featured, Fair Em falls in the category of Shakespearean “apocrypha,” plays once thought to be Shakespeare’s but now comfortably deemed to be not—or not as much as other plays, like Hamlet or King Lear, are deemed to be Shakespeare’s. 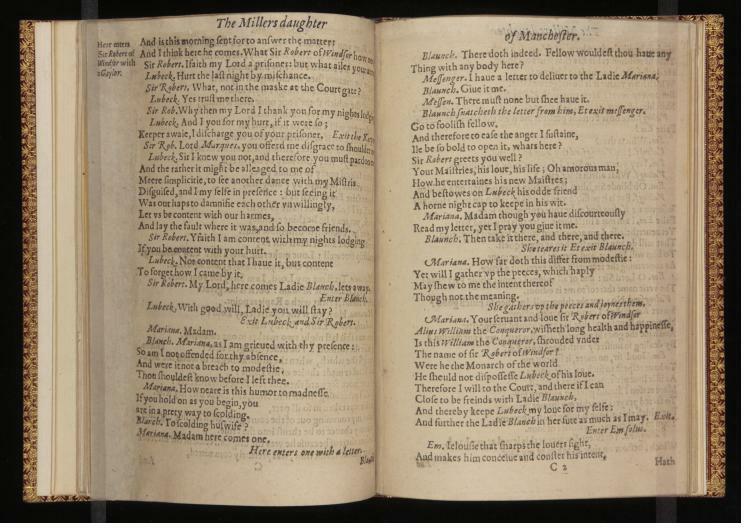 Such plays are interesting and significant for the ways they prompt us to think about what we mean when we talk about Shakespeare—what we enlist that name, author, and cultural icon to represent for us today.